Gutentag, everyone! It’s time for fall at Secrets Resorts & Spas–and do you know what that means? AMR Oktoberfest! During the month of October, guests at resorts in the Mexico-Carribean region will enjoy traditional German fare that hearkens back to the great Oktoberfest in Europe. Our gourmet restaurants serve classic German cuisine like sausages and bratwurst, and each dining experience is complete with German folk music. And what would Oktoberfest be without some refreshing pints of beer? 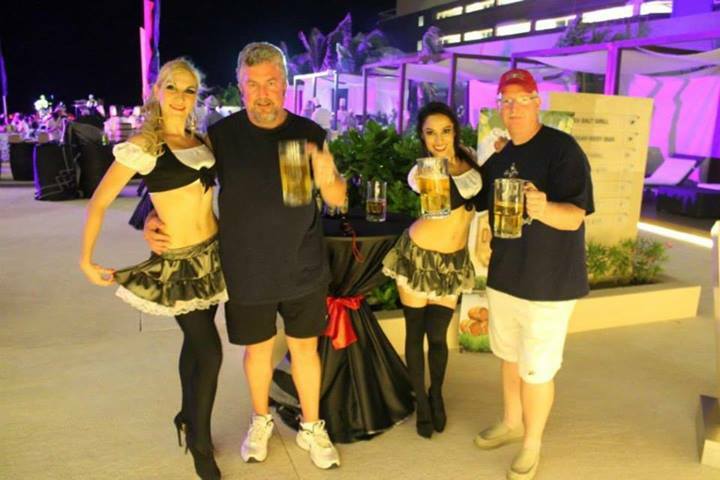 Check out these photos of AMR Oktoberfest at Secrets The Vine Cancun. Have you experienced Oktoberfest at one of our resorts? Share your pictures with us today with the hashtag #AMROKTOBERFEST! 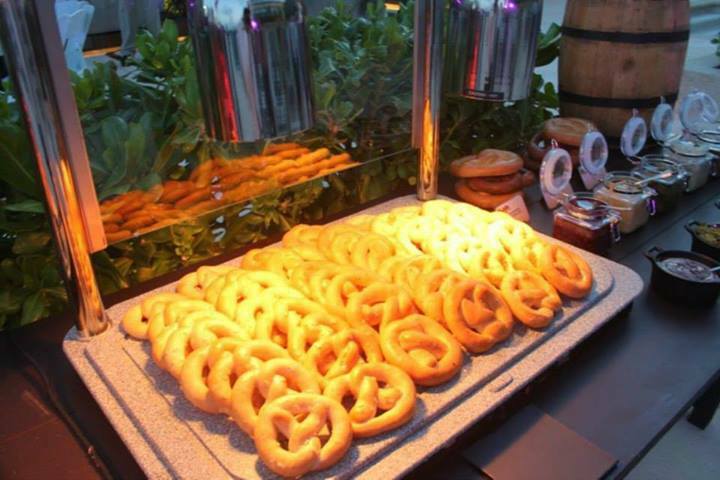 Pretzels are only a small part of the delicious German cuisine served during AMR Oktoberfest. Two of our guests enjoying a pint with the ladies of Oktoberfest! German cuisine is highlighted throughout the entire month of October. 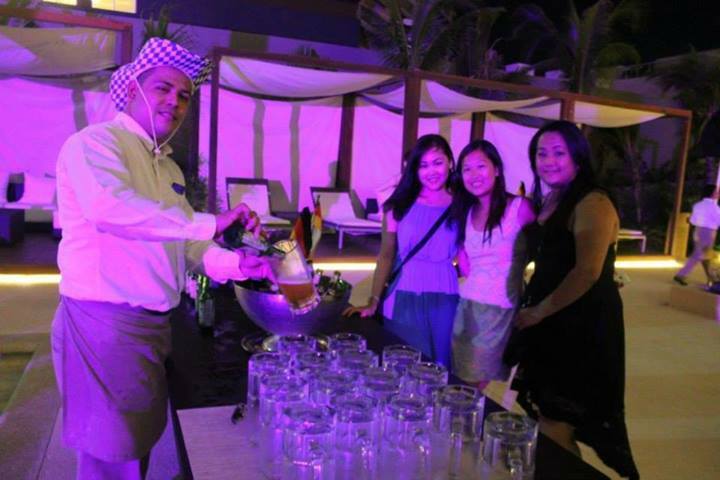 Guests can take part in beer sampling sessions during the festival! Visit us online today for more information on booking your stay! This entry was posted in Secrets Resorts & Spas, Secrets The Vine Cancun and tagged Activities, Entertainment, Oktoberfest, Secrets Resorts & Spa, secrets the vine cancun. Bookmark the permalink. 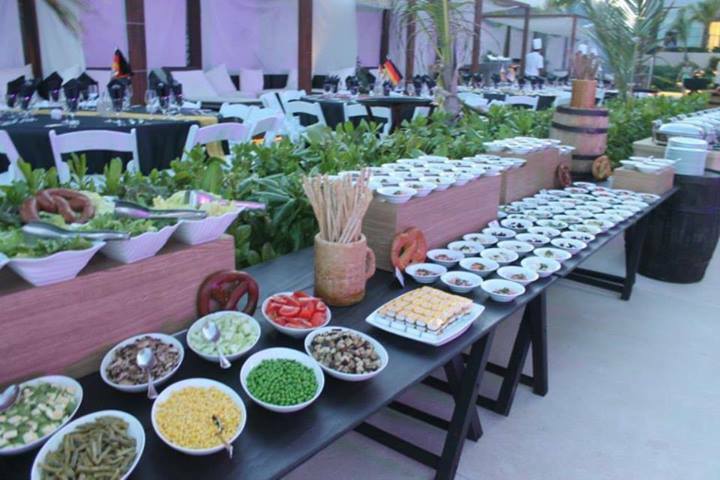 ← Chips, Dip and a Mexico Trip to Secrets Puerto Los Cabos Golf & Spa Resort! Awesome! What kind of beer is served? I’m visiting Secrets the Vine from the 25th through the 28th and hope to sample a few (or 10). Wow that’s amazing. Resorts having so luxurious facility should be visited once.